Robert Carroll, philosopher, CSI Fellow, and prominent skeptic widely known for his online Skeptics Dictionary, died from pancreatic neuroendocrine cancer August 25, 2016. He was 71. His legacy lives on through his work, his writings, his inspiration, and in the thousands of students who sat in his classroom where he taught critical thinking skills. Our heart goes out to his family, especially his wife of 48 years Leslie, daughters Jennifer and Allison, sons-in-law Rodney and Daniel, and his grandchildren Olivia and Flynn. Before there was Wikipedia, there was The Skeptic’s Dictionary. It was conceived and managed by this one amazing person, Robert Todd Carroll. He started it in 1994 after taking a community education class with his wife Leslie, learning about the Internet, email, and HTML. 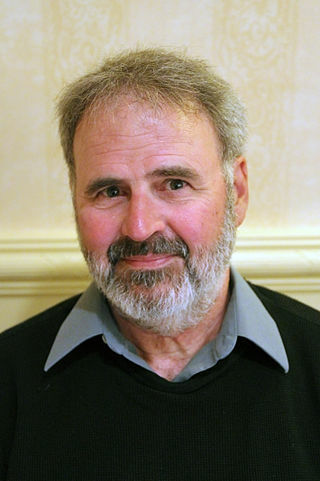 Carroll earned his PhD in philosophy in 1974 from the University of California at San Diego. A professor of philosophy from 1977 to 2007 at Sacramento City College, Carroll initially began the Dictionary with rewritten lectures from his classes. Over time the website http://skepdic.com morphed into the workhorse it is today with more than 85,000 hyperlinks and 5,500 files. It receives more than 400,000 visits a month. In 2003 it was published in book form by John Wiley and Sons. When Bob discovered his cancer in 2014 we talked briefly about it as we were both members of the club no one wants to join. He told me that he had traveled to Switzerland for treatment and that after 5 weeks he was exhausted. He didn’t feel depressed, just tired. He asked me, “Did you ever get to the point where you were tired of being tired?” Yet he continued maintaining the website and writing his popular newsletters. Only in May 2016 did he announce that he was stopping due to health reasons. Mostafa Mahmoud, an editor for our Guerilla Skepticism on Wikipedia project, published a long overdue rewrite of Carroll’s Wikipedia page in May 2016. Readers will enjoy learning about the Bob Carroll few knew. He was raised Catholic and, for a time in college, even entered the seminary. His doctoral thesis was on the religious philosophy of Edward Stillingfleet, which Carroll later published: The Common-sense Philosophy of Religion of Bishop Edward Stillingfleet 1635-1699. I asked Mostafa why he felt so strongly about wanting to rewrite Bob’s Wikipedia page, and I think his response explains completely why Bob Carroll is so important to us. “When I was 15 and grappling with Islam, the internet was my only chance at some rational and impartial reading material in Egypt. That’s when I first came across skepdic.com. Carroll’s article about Satan particularly fascinated me. The article was written in an amusing satirical tone, mocking fears that had been instilled in me since infancy. Yet, it still managed to feel analytical and thought-provoking, it spoke to me deeply at the time. This article all the more special for me because of how hard it was to find people with a sympathetic point of view before the explosion of social media. Since that day I’m still yet to emerge from the rabbit hole that’s skepdic.com. I learned about Bob’s death from an email from his wife Leslie. I’m reprinting it here with her permission. I am very sorry to bring sad news about Bob. He left us Thursday morning, August 25, on a journey to the stars and beyond from whence he came. He was admitted to the local hospital August 22 and was due to come home to hospice care. It was not to be. Our boy took his own path home and died quietly and peacefully, surrounded by family and Bob Dylan songs. Two years ago, he was diagnosed with Pancreatic Neuroendocrine Cancer, the same rare disease that Steve Jobs had. We both hoped he would be with us longer since this disease is often slow-growing. It was not to be. Shortly before Bob died, he looked at me and said, “Death is nothing.” When I looked puzzled, he explained that Epicurus had said that while dying was hard, death is nothing. In fact, death was quite something to those of us who loved this complex, bitingly funny, loving man who is no longer. I apologize for the time it’s taken to let the skeptic’s community know but it’s taken me a while to re-center. As a friend and colleague of Bob’s, I thought you would want to know about his passing. I know Bob Carroll was exceptional to his family and friends, and I want everyone to know that he was very special to the skeptic community as well. Thank you Bob; you showed us the way. We will continue from here.